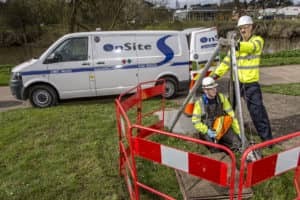 OnSite is a world leader in the field of flow monitoring/flow surveys of foul and surface water networks and has been involved since the inception of flow survey technology in the 1980’s working closely with the Water Research Centre (WRc). The procedures subsequently developed form the basis of the current Model Contract Document and the associated codes of practice still being used internationally today. Our flow monitoring equipment is used to accurately measure depth of flow and velocity in pipelines, which, when combined with rain gauge information, can be used by hydraulic modelling engineers to assess the performance characteristics of a particular pipeline. Over thirty years’ experience in flow surveys, nationally and internationally. 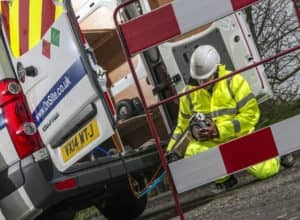 With a large, diverse fleet of monitoring equipment, OnSite is able to provide the end user with more timely, accurate data, without increasing costs. 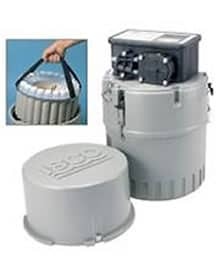 Telemetry loggers allow for a quicker turn round of data to inform decision making, potentially reducing the costs of a short-term flow survey. Remote communication and exception mode maintenance facilitates a reduction in carbon footprint, less confined space entry, and a reduced requirement for traffic management. A network of regional depots able to cater for all regions of the UK.